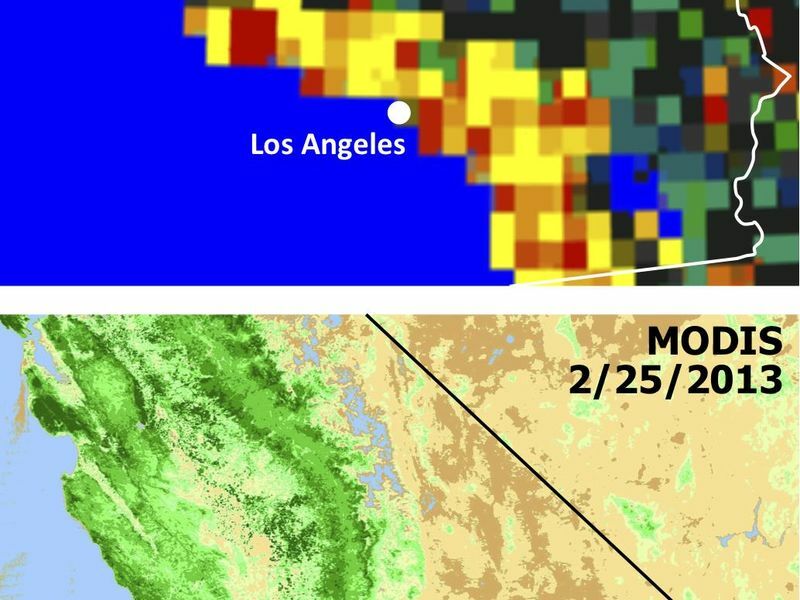 Extensive and persistent rains between Jan. 24 and Jan. 27, 2013, significantly increased soil moisture and enhanced vegetation growth in Southern California. 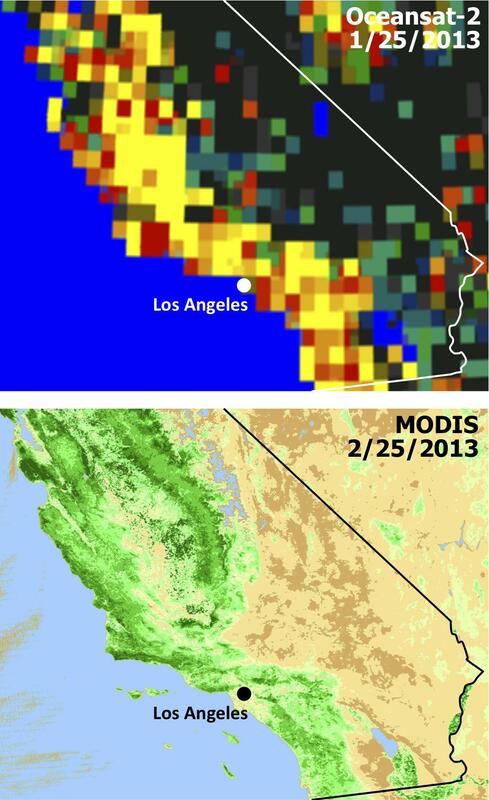 The upper panel represents changes in soil moisture measured by the Indian Oceansat-2 satellite on Jan. 25, 2013. Wet areas -- those with more than a 10-percent increase in soil moisture -- are shown in yellow. 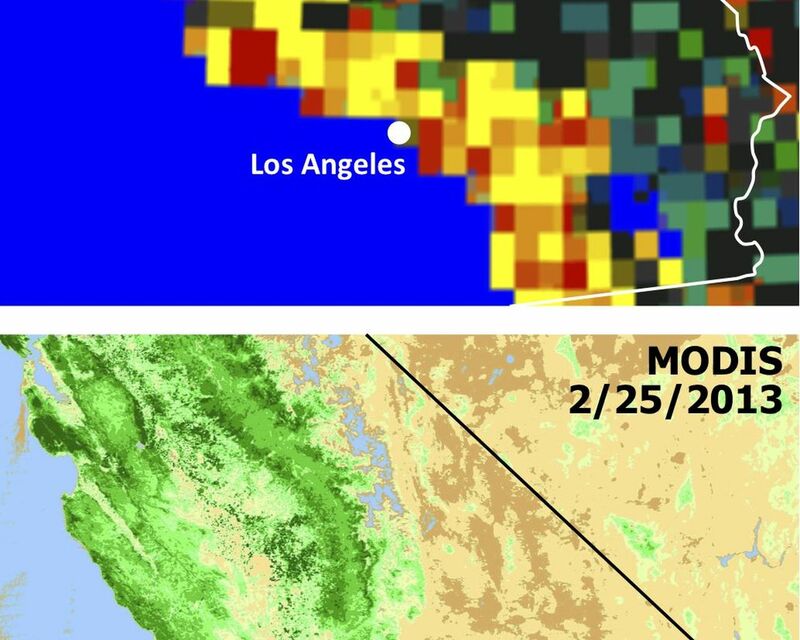 The lower panel depicts vegetation conditions as represented by the Normalized Difference Vegetation Index measured by NASA's Moderate Resolution Imaging Spectroradiometer (MODIS) sensor on NASA's Aqua spacecraft on Feb. 25, 2013, when vegetation had been growing rapidly since the period of rain in January. Darker green areas represent more vegetation. 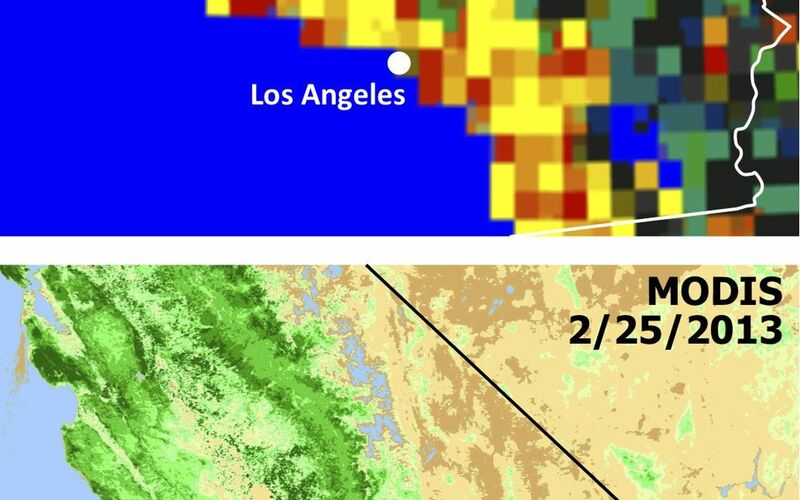 New insights into two factors that are creating a potentially volatile Southern California wildfire season come from an ongoing project using NASA and Indian satellite data by scientists at NASA's Jet Propulsion Laboratory, Pasadena, Calif.; and Chapman University, Orange, Calif.